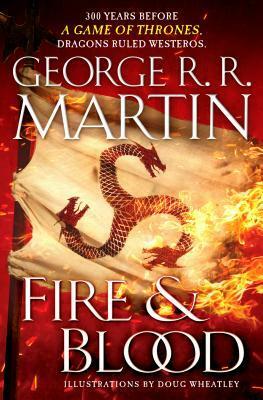 "With all the fire and fury fans have come to expect from internationally bestselling author George R. R. Martin, this is the first volume of the definitive two-part history of the Targaryens in Westeros. With all the scope and grandeur of Gibbon’s The History of the Decline and Fall of the Roman Empire, Fire and Blood is the ultimate game of thrones, giving readers a whole new appreciation for the dynamic, often bloody, and always fascinating history of Westeros." It may not be the next book in the series but I still need it! Fire & Blood will be released on November 20, 2018. Nice! I've never read any of his books but I've always heard good things from those who do! Lol! Hope you love this one once you read it! Ooh good one! I can't wait for this either. I keep going back and forth on whether to read the series. I love the show! My son and I are hoping they continue with movies about before when GOT takes place. This book has me curious. The books are SO good and there is so much more to the world than what the show gets to!